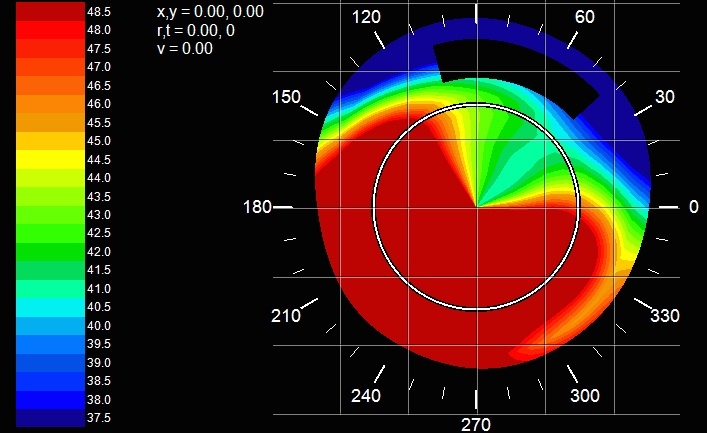 Intracorneal ring segments (ICRS) are currently used as a management option for keratoconus with the goal of improved vision. One or two of these segments can be implanted depending on the patient’s condition. Many of these patients still require specialty contact lenses postoperatively to achieve functional vision. 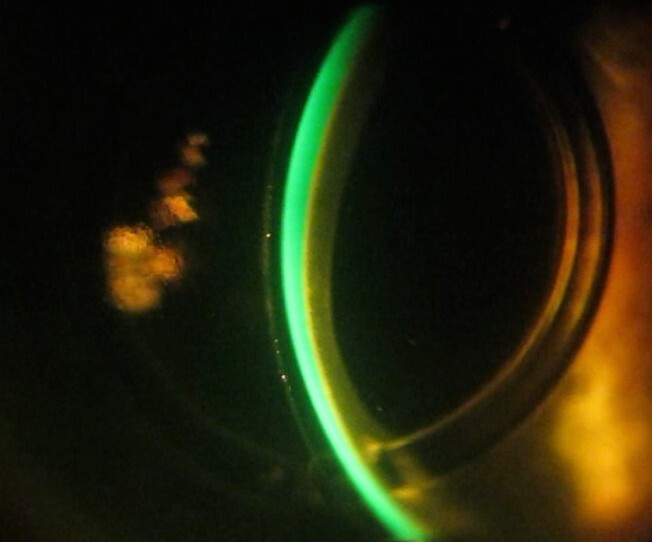 A 47-year-old male patient with keratoconus reported for specialty contact lens fitting. The patient had ICRS implanted in both of his corneas 5 years prior (image above, OD). He was wearing a corneal (R)GP lens in his right eye (see figure below) that he complained was irritating, but gave him 20/30 vision. The patient had discontinued wearing a left contact lens secondary to discomfort, and his uncorrected vision in this eye was 20/400. He was interested in scleral lenses. Manifest refraction was OD -6.50 -1.00 X 078 20/200 and OS -12.50 DS 20/200. Topography revealed moderate keratoconus OU (see below - OD left, OS right). Slit lamp exam showed mild central scarring OU. The patient was diagnostically fit with 16mm scleral lenses. After dispense, the patient had 20/25 acuity in each eye and was happy with the comfort and stability of the lenses. The lenses demonstrated adequate central corneal clearance and scleral lens haptic alignment (see 3 images below - right eye). The patient was advised to return in 1-2 months for follow-up. 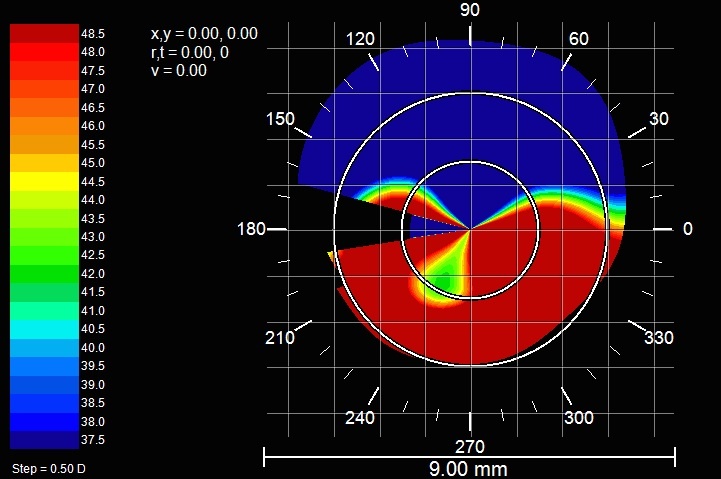 ICRS have the potential to induce corneal topographical changes that can improve vision for patients with keratoconus. The case presented is an example of a keratoconus patient who did not have significant improvement after ICRS and was unsuccessful with post-operative corneal (R)GPs. For these patients, scleral lenses are often what allows them to successfully wear a gas permeable contact lens that provides improved vision and comfortable wear with a stable fit. From a practical standpoint, ICRS surgery may have been avoided if this patient had been previously fit with scleral lenses. 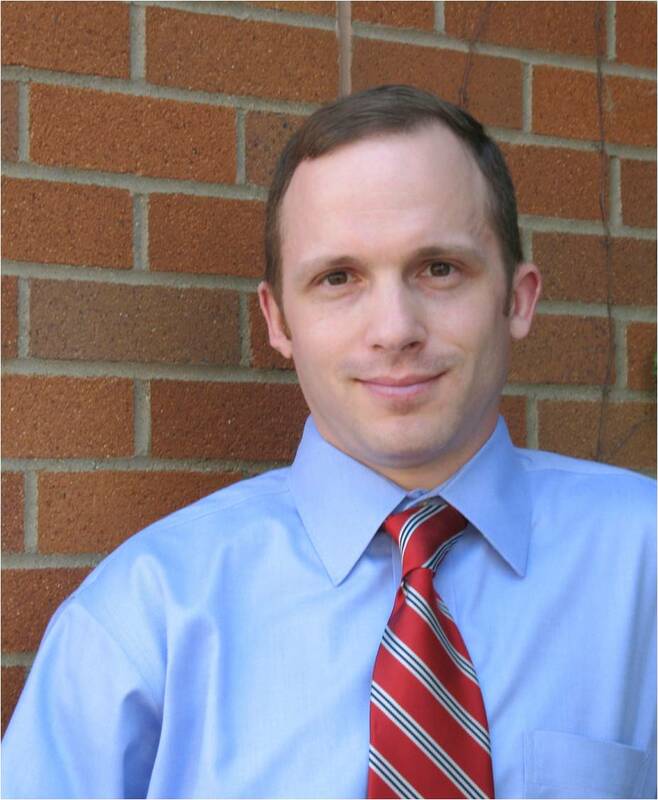 Greg DeNaeyer is a graduate of The Ohio State University College of Optometry. He completed a hospital based residency at the Columbus VA Medical Center. Dr. DeNaeyer practices at Arena Eye Surgeons with an emphasis on specialty contact lenses. Dr. DeNaeyer was a co-founder and is the past president of the Scleral Lens Education Society and is a Fellow of the American Academy of Optometry. He is a contributing editor for Contact Lens Spectrum and a contributor to Review of Cornea and Contact Lenses and Optometric Management. Dr. DeNaeyer has lectured internationally on specialty contact lenses and was the 2012 GPLI practitioner of the year. Currently his primary research is focused on scleral lens design.